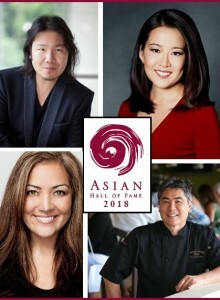 Parking: The Fairmont is offering guests of the Asian Hall of Fame a discounted rate for self-parking at the Olympic Parking Garage at 415 Seneca St. near 5th Ave.: $10 for the evening if you park after 5:00pm. Room Block: For attendees from out of town, be sure to take advantage of our discounted room block rates at the Fairmont, available up to three days before and after the event. To reserve your room, call the Hotel directly at 206-621-1700 ext 3131 OR (toll-free 1-800-821-8106) OR go to https://aws.passkey.com/go/asiahalloffame2018 and tell them that you are part of the Asian Hall of Fame. When booking, remember that check in begins at 3:00pm and check out ends at noon. These rates are available until April 6, 2018, so be sure to book now! *When driving South, do not to enter the Express Lanes.